It has been often lately that I run across a book that I read in one sitting. 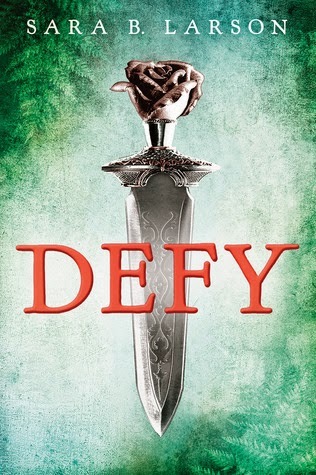 DEFY is such a book, one that wouldn't allow me to set it aside until the reached the very satisfying conclusion. Set in another world of lush jungles and arid deserts, Alexa 'Alex' does what she needs to survive which includes masquerading as a boy with incredibly weapon skills. She is a young woman however and is starting to have to deal with feeling for two men that she is forced with work with and for on a daily basis. When her secret is revealed, the issues come to a boil. I really enjoyed the character of Alex, Rylan and Damian. Alex especially does a lot of growing and changing throughout this enjoyable story. 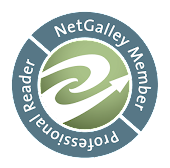 The plot is full of twists and turns along with danger one just doesn't see coming. Ms. Larson does an excellent job of keeping her readers on the edge of their seats. I do highly recommend this book to lovers of young adult novels full of danger, magic and coming of age. I know that Ms. Larson is one author that I plan on keeping an eye out for in the future.